Whether you are a tourist or Filipino looking to visit or tour around Metro Manila, this page aims to reveal so many thoughts, facts, figures, fiction, news, places to go and learn about. Hidden treasures, secret places, night life, romance, tour, the Filipino, the Filipina, the current president, mayor, the people and all. Name it and we have it! My Pilipinas aims to help you know about Philippines, particularly the city that best describes our country and our people and culture. Learn it all from a certified Pinoy travel enthusiast, guide and a Manilenyo. Locals often refer or call the city as Maynila, pronounced as (mai-nee-luh). You can use this when riding taxi cabs, jeepney, tricycles, pedicab, Uber or Grab car, buses or when asking for direction. The city is governed by a mayor - Joseph Ejercito Estrada, a famous celebrity actor in the early 70's. 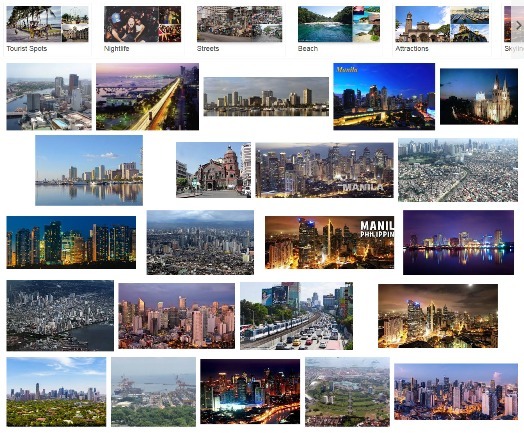 It is also often mistaken as Metro Manila or NCR but it's ok if that is so just remember they are not the same. Manila is only one of the cities included in Metropolitan Manila and the latter is a part of NCR (National Capital Region). One of the oldest cities in the Philippines, Manila is founded on June 24, 1571, by Spanish conquistador Miguel López de Legazpi. It is composed of 16 districts namely, Binondo, Ermita, Intramuros, Malate, Paco, Pandacan, Port Area, Quiapo, Sampaloc, San Andres, San Miguel, San Nicolas, Santa Ana, Santa Cruz, Santa Mesa and Tondo. Dubbed as the 2nd most populated city in the world in 2013, Manila is the capital city of the Philippines. This is where you will find a diversity of people from all walks of life and Filipinos of different languages, culture and trade business. It is the center for all that is current about the Philippines and Pinoys (people). Current population density from NSO found below. As of today, June 2017, total tourist arrival share ranges at 63.17% with Ninoy Aquino International Airport as the top port of entry. Second is Cebu followed respectively by Kalibo, Clark, Davao, Laoag, Palawan and Iloilo. Note that currently, the city has so many of its top tourist spots and destination for historical places strongly influenced by Spanish colonials era as well as other nations around Europe and Asia like China and Japan. Above is a photo of where the current Philippine president, Rodrigo Roa Duterte resides. 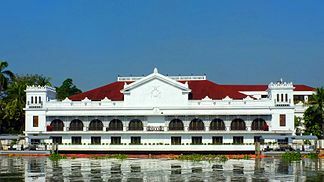 It has been the home to all previous presidents of the country except President Corazon Aquino, the first female president of the republic. The best place to know more about specific local municipality or city ordinance is the Manila City Hall (Gusaling Panlungsod ng Maynila). The building is easy to recognize with a big clock tower and Tondo as its most densely populated district. The current mayor is Joseph Ejercito Estrada. You can find the building right in the heart of the city near SM Manila Mall or at this address - Corner of Taft Avenue, Padre Burgos Avenue and Villegas Street, Ermita, Manila, Philippines (you can find a map below). Official service time is from 8:00AM - 5:00PM and has an unofficial hotline telephone number of (02) 527 0972 according to Wikipedia. Any latest news can be read here about Metro Manila. best is to get a local FIlipino guide - this will cost you less and help you secure your valuables and self a good place / positioning when traveling. watch out of illegal parking areas / towing areas if you drive. Best place to park is in any Mall or parking lot which is found almost everywhere. major public transportation is thru jeepney, taxi, tricycle, pedicab and Grab or Uber taxi. rent a private car if needed. take note of all necessary emergency hotline numbers, location and contact person for emergency like your hotel, your guide (if you have one), fire department, police (in your area), hospitals, drug stores, market, traffic bureau, MMDA, Meralco (for electricity) and Maynilad for water supply. buy a local internet-ready or wifi-ready SIM card for your mobile phone and take note of wifi hotspots in malls, public places and restaurants. Filipinos are polite, courteous, honest, accommodating and easy to go along with so don't hesitate to ask if you are lost or out of your league. there are currently 5 cruise ships docking in Philippine port - Celebrity Millennium (travels to Kaoshiung / Manila / Vietnam), Celebrity Constellation (Hongkong / Manila / Boracay), Europa 2 (Sandakan / Bohol / Boracay / Malcapuya / Manila / Hongkong), Seabourn Sojourn (Xiamen / Hundred Islands Pangasinan / Manila / Boracay / Coron Palawan / Puerto Princesa / Kota Kinabalu) and Crystal Symphony (Komoda Islands / Boracay / Romblon / Kota Kinabalu). The tourist spot visits and market has dramatically increased in the past years. From 2016-2017, below is the list of top visitors by nationality this year 2017. Korea reached 150,685 while United States of America ranked second with 80,463 visitor arrivals, up by 12.87% from its arrivals in February 2016 of 71,290. China followed closely with 78,251 arrivals. Japan at 4th spot provided 53,957 visitors to the country with 6.13% increase while Taiwan finished 5th by supplying 20,472 visitors with a 3.28% increment versus its previous year’s arrival of 19,821 visitors. University of the Philippines Arboretum - Diliman, Q.C. Depending in ones taste for fun and adventure travel, anybody can come up with so many options. Just like any other country, there are 2 types of Manila tourist spots you can visit - free and paid. Most of the best places are actually free while some may have entrance fees, environmental fees or attraction rates. If you have a guide, it is pretty easy to minimize the cost and enjoy the same level as when you spend so much money for cozy places to have fun adventure. The key here is to get yourself a very good guide. The money you save out of visiting places of interest that might be free can go to pay for the guide. Go get a local accredited guide for best results. In the meantime, below are some of the best places both free and paid to visit when you tour around Manila.